Fits Perfectly in Wallet! 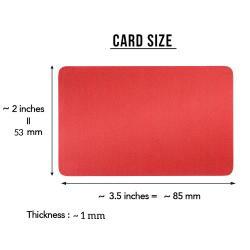 Credit Card size: 3.5 in x 2 in x 0.04 in (85mmx 53mmx1mm). 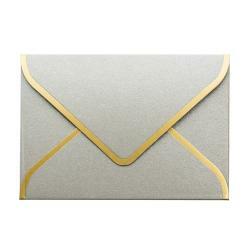 Durable anodized Aluminum in premium quality. Won't bend in wallet. Permanent laser engraved - we use high-powered lasers that vaporize the material to create engraved text or photos, that creates a clear, permanent, and attractive engraving on the metal surface. Will not fade or wear off. 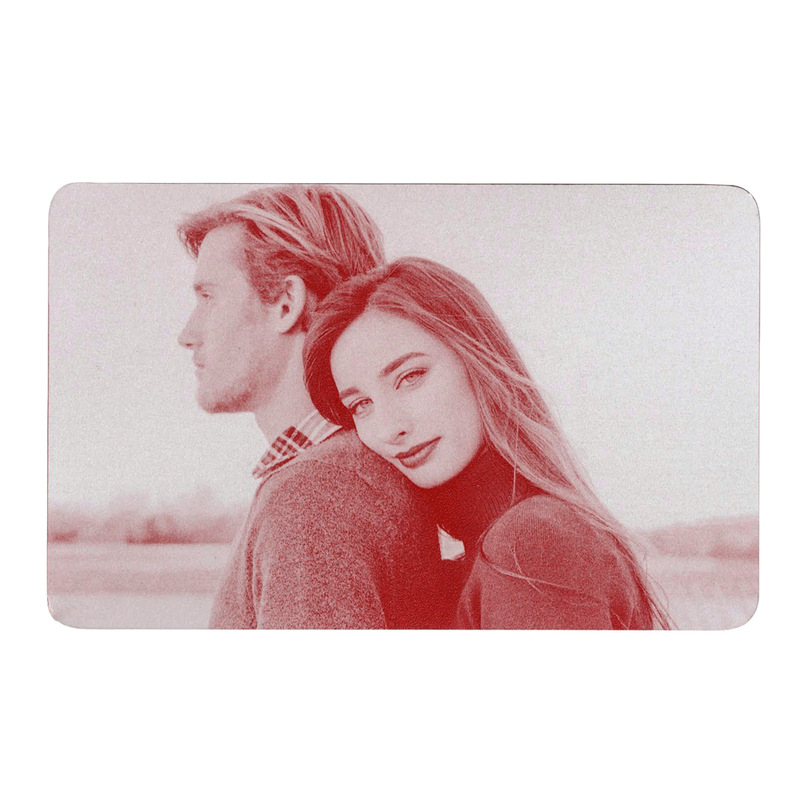 Let someone you love carry your love everywhere they go with this wallet insert. It is a sentimental gift and perfect gifts for Son, Daughter, Husband, Wife, Boyfriend, Anniversary, Deployment, Dating, Wedding. Picture is engraved as a black-and-white image. What a remarkable way to tell someone you love them! Let someone you love carry your love everywhere they go with this wallet insert. Perfect for Son Gifts, Daughter Gifts, Husband Gifts, Wife Gifts, Boyfriend Gifts, Anniversary Gifts, Deployment Gifts, Dating Gifts, Wedding Gift, Halloween, Thanksgiving Day, Valentine's Day, Christmas and more. 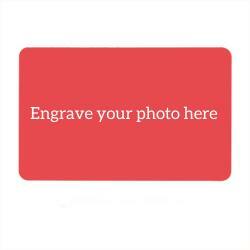 We will redesign the photo to occupy the whole area of the wallet id and will center the text during engraving.